A special edition from an era where Ferrari had something to prove. How times have changed since 1999. Twenty years ago, despite having regained its swagger earlier in the decade, Ferrari had everything to prove as the competition from both Lamborghini and the Germans began to ramp up in earnest. These were the twilight years of the manual-only Ferrari, as the 360 Modena and 456M also offered rough-shifting automatics. A few years later, the Enzo would come along and do away with any manual at all in Maranello’s top-tier offerings. 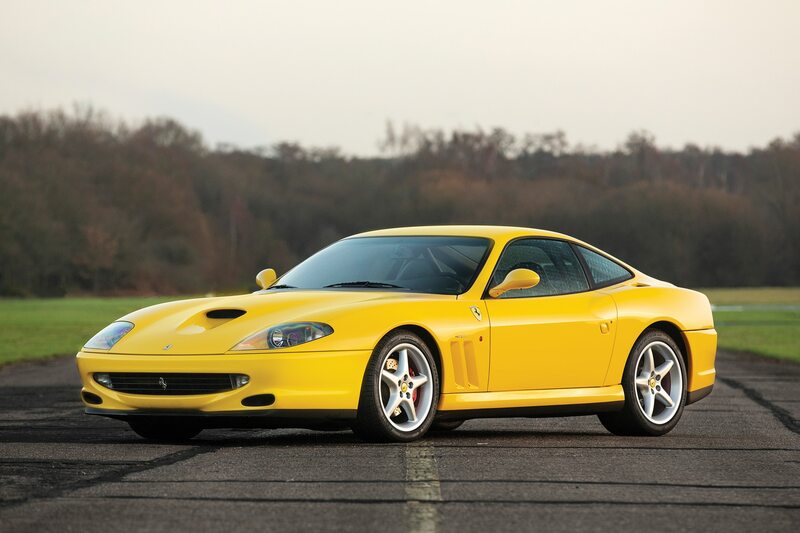 The Ferrari 550 Maranello occupied the top place among streetable Ferraris for a time, serving as the fastest, most expensive entry in the “regular” lineup. To prove its bona fides, in October of 1998, Ferrari unloaded a “lightly modified” silver 550 Maranello at the Transportation Research Center in East Liberty, Ohio. Over the course of the day, the 550 broke three speed records, including 100 miles at an average of 190.2 mph, one hour at an average speed of 184 mph, and 100 kilometers at an average of 188.9 mph. These records stood until 2002, when a preproduction Lamborghini Murciélago broke them at the huge circular track in Nardo, Italy. 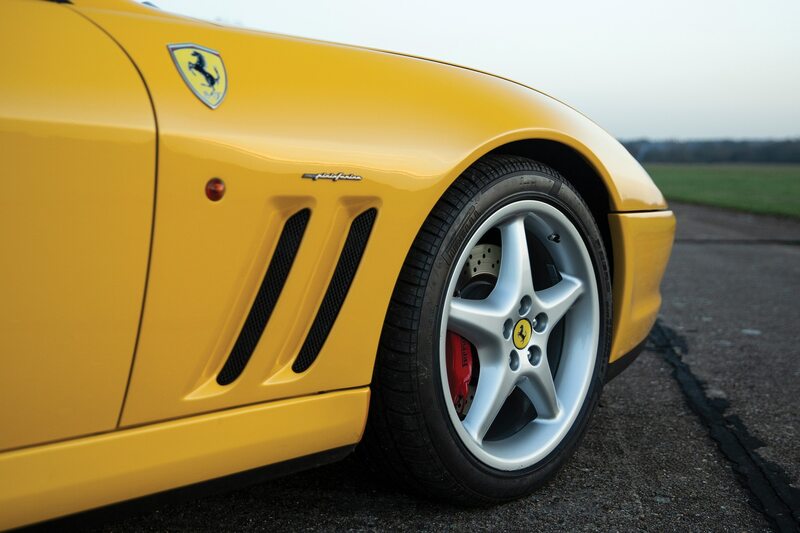 But before that could happen, Ferrari celebrated by creating the 550 Maranello WSR (World Speed Record) edition, incorporating modifications similar to that of the record-setting car. Each WSR arrived with a leather-wrapped roll-cage, carbon-fiber bucket seats with four-point harnesses, an Alcantara-wrapped steering wheel, and the Fiorano handling package, which touched the steering, suspension, and brakes. Most also came with a small plaque on the center console denoting their limited-edition status. 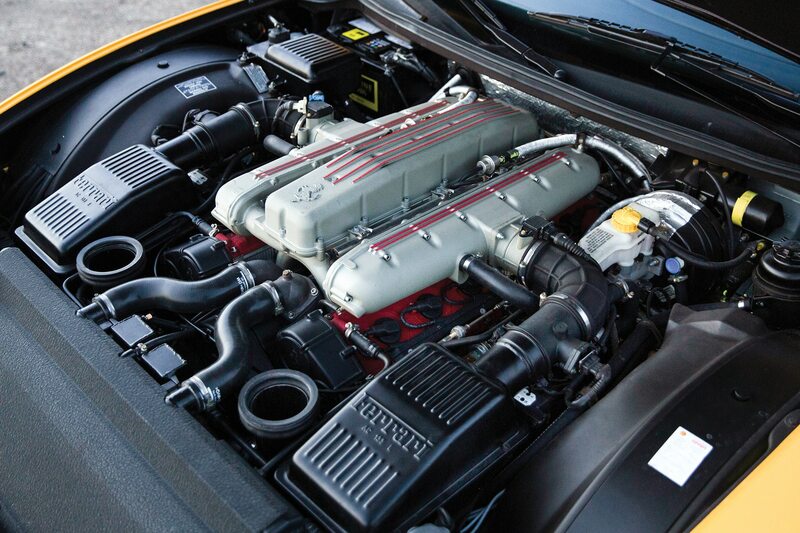 Everything else was left untouched, including the 5.5-liter naturally-aspired V-12. It made 478 horsepower and 419 lb-ft of torque, which were went to the rear wheels through an slick-shifting gated six-speed manual transmission. Performance was strong for the era, as the zero-to-60-mph sprint was claimed to take just 4.2 seconds. Top speed was stated as 199 mph. Only 33 WSRs were ever made, and despite this rarity, they remain oddities in the Ferrari market. With the exception of the plaque, all of the WSR’s extra hardware could be ordered on a regular 550, including the handling package and the roll cage. 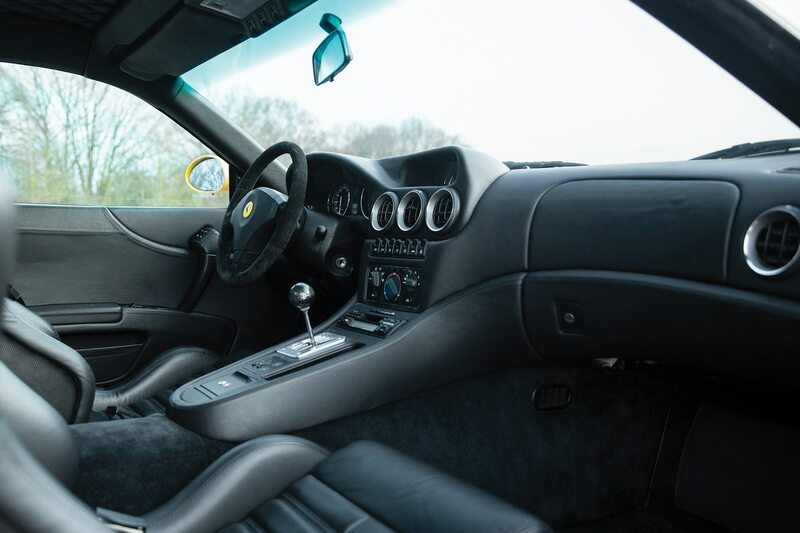 While values of the 550 Maranello are climbing, the WSR is carried entirely by its scarcity, and doesn’t command the same hefty premium as 550 Barchetta and later 575 Superamerica. One of the 33 WSRs crossed the block at RM Sotheby’s Retromobile sale earlier this month. Most were delivered in the same shade of Grigio Titano as the record car, but Ferrari also painted a handful in other hues, like this Giallo Modena example. Like most V-12 Ferraris, it’s well-cared for, wearing just around 6,500 miles on the clock and is fresh from a recent major service that included new cam belts. When the hammer fell, the WSR sold for $246,000 at today’s conversion rates.